Yardi Kube Allows A Landlord To Easily Transform Traditional Space Into Coworking Space. Effectively, Yardi Kube empowers landlords and property management groups to “become their own tenants” by facilitating Coworking spaces in their buildings to meet the growing demand of todays workforce and increase the value of their real estate. Yardi Kube simplifies and removes all the complexities of running and scaling a successful Coworking space. Yardi Kube automates the entire Coworking operation from managing leads and monthly billing to delivering on-demand Internet and voice services. The platform can scale from managing a single low-rise building to a portfolio of multi-story commercial real estate properties. How Do I Increase the Value of my Real Estate? Increase The Revenue Per Sq. Ft.
How does running a Coworking space differ from managing traditional space? Running a Coworking space is operationally more complex than dealing with a traditional commercial real estate. Coworking spaces have a much higher density than traditional space resulting in a higher volume of tenants (referred to as “members”) to bill, support, and manage. 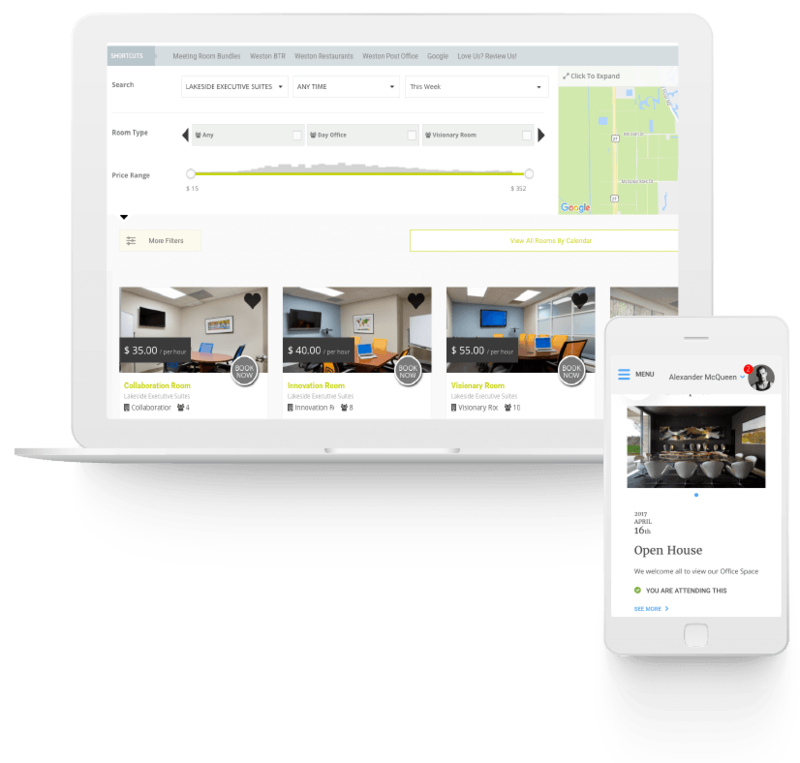 Members expect the space to deliver a turnkey solution from furnished offices to internet/voice services on-demand. In most traditional spaces, you are solely responsible for delivering office space without the services and amenities. Members of your Coworking space will also expect you to foster a community in which can drive collaboration and connections. Yardi Kube’s Coworking software platform eliminates operational complexities of running and managing a successful Coworking space from automating billing to fostering community. How do I transform my commercial office space? Why sourcing your own Coworking technology will work against you? Historically, Coworking operators have approached workspace management and delivery of services by hiring multiple outside vendors or dedicating a team of in-house engineers and programmers. In the case of hiring multiple vendors to handle everything from automating your billing to delivering internet/voice on-demand, you end up with disparate systems that don’t speak to one another with limited automation. The result is a highly inefficient system in which simple tasks such as onboarding a new member can take hours instead of seconds. In addition, managing multiple vendors will require a large amount of time or be cost-prohibitive in that it may require you to hire a high-salary IT director. In-house IT staff and programmers often times are burdened with keeping pace with the day-to-day tasks and don’t have the time to focus on building a solution that will improve the process by increasing efficiency. In addition, managing a group of programmers and IT staff will require a large amount of time and will likely require you to hire a high-salary IT director. Furthermore, technology is constantly evolving and in order to remain competitive, you will need an entire R&D department including business analysts, quality control managers, and product managers all resulting in extremely high payroll costs. 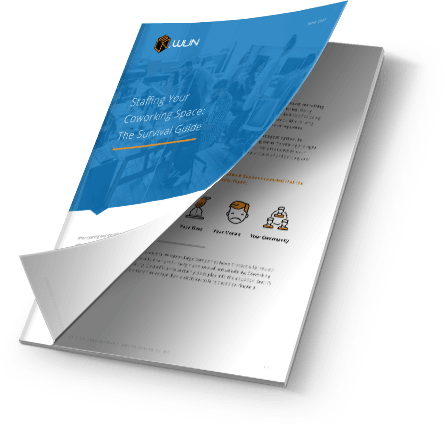 Regardless of whether you are hiring multiple vendors or attempting to build an in-house solution, the result will be high running costs and limited scalability. Yardi Kube is a cost-effective, scalable Coworking space management software platform that allows non-technical admin level staff to manage the entire customer lifecycle from onboarding to billing to voice/data delivery on-demand. How do I control my Coworking technology costs? 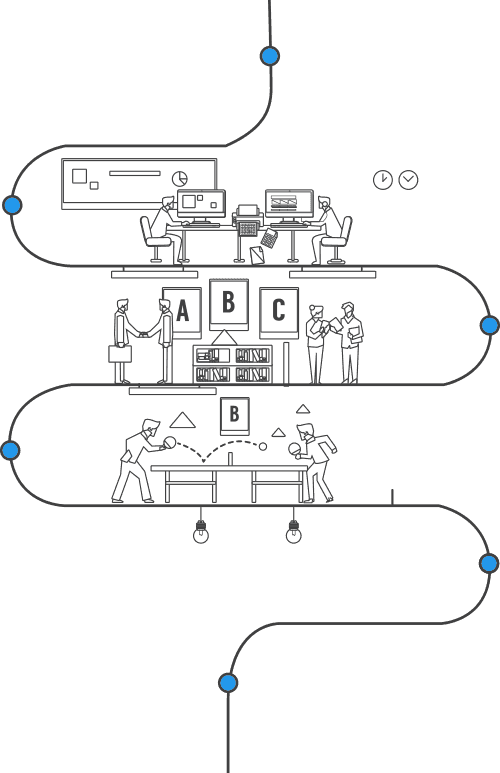 Why is automation key to successful flexible workspace management? Coworking management software that lacks automation and self-service results in large inefficiency. Your time will be consumed with day-to-day operations, leaving no time to focus on building the business. Simple tasks such as increasing the Internet performance or providing door access to for guest can take much more time than required, resulting in unhappy members. Yardi Kube removes the operational burden from running a flexible workspace and allow you to focus on what’s important: your members and your commercial properties. What is the key to a successful Coworking space? How to prevent revenue leakage in your Coworking space? In the case in which you have disparate systems that don’t speak to one another, your monthly billing may not bill the member for all the appropriate charges. For example, if your meeting room is not fully automated including the door access, you may find that members are being under-billed for their meeting room usage. Another example would be if your phone system is not tied directly to your billing platform, you will likely have instances in which certain voice billing data is not imported correctly into your billing platform. Thus, resulting in under billing for your voice services. Yardi Kube delivers a complete Coworking management software platform that ensures that all of your services are accurately billed each month to each of your members. What to look for in a Coworking industry partner to ensure your success? As commercial real-estate owner, choosing the right industry partner is critical to your success. The Coworking industry partner should deliver a complete turn-key solution from a management platform to all the hardware to onsite support 24/7 to both your members and your staff. Yardi Kube provides all inclusive solution to allow you to quickly transform your traditional space into shard space. How do I find the right Coworking partner? How does community play a role in the success of your Coworking space? In order to attract new members and obtain existing members to your Coworking space, you will need to provide a medium for your members to connect and collaborate. Most members today are seeking a space that in addition to getting work done can also connect with others similar to themselves. Yardi Kube delivers a Coworking management platform that drives community and collaboration within you space. How do I build community? Are You A Landlord Looking To Transform Your Space?